Home » Uncategorized » CONFERENCE SUBMISSION DEADLINE ~ 1 November 2016! 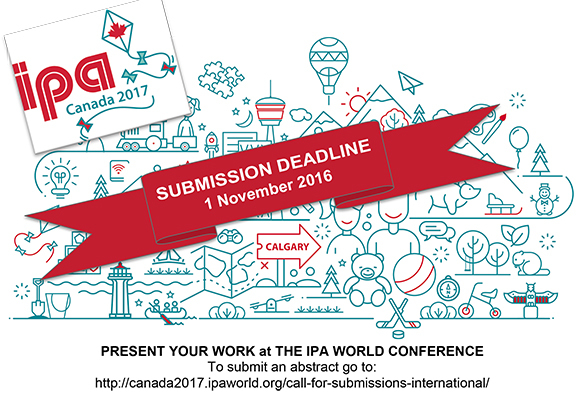 Don’t miss this opportunity to present at the 2017 IPA Triennial World Conference in Calgary Alberta Canada. Send in your submission today before the 1 November 2016 deadline.